In a year of ground-breaking innovations Adidas has announced that they are releasing limited edition 3D printed trainers for consumers to purchase. What does Thursday, 15th December 2016 and cities New York City, Tokyo and London have in common? Well, Thursday, 15th December 2016 is the day and New York City, Tokyo and London are the cities that sports giant Adidas will be releasing their 3D printed sneakers, 3D Runner. As soon as this exciting news was released, we took a moment to look back to when Adidas first unveiled the future of performance footwear with Futurecraft 3D, a unique 3D-printed running shoe mid-sole, which can be tailored to the cushioning needs of an individual’s foot. 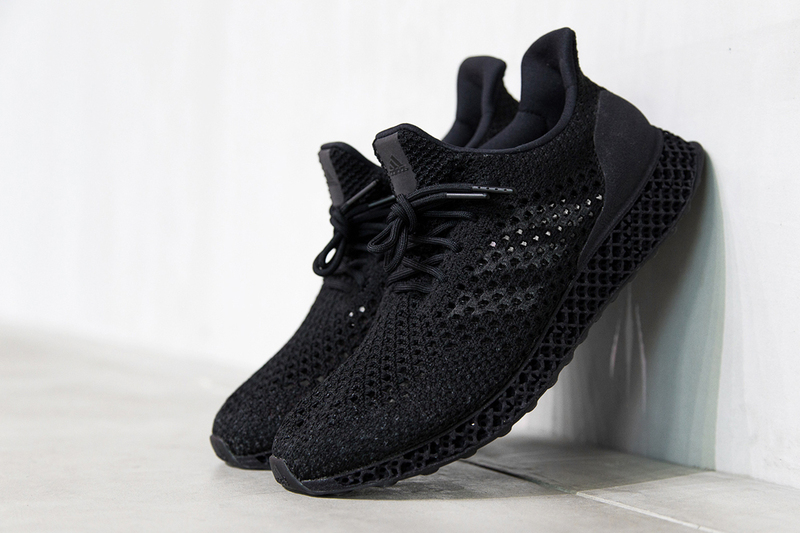 The 3D concept was part of their ‘Futurecraft series’, a forward-looking initiative that places open source collaboration and craftsmanship at the heart of design to drive innovation across all elements of production. Now fast forward 12 months, and we are being given the opportunity to purchase a pair of innovative sneakers. 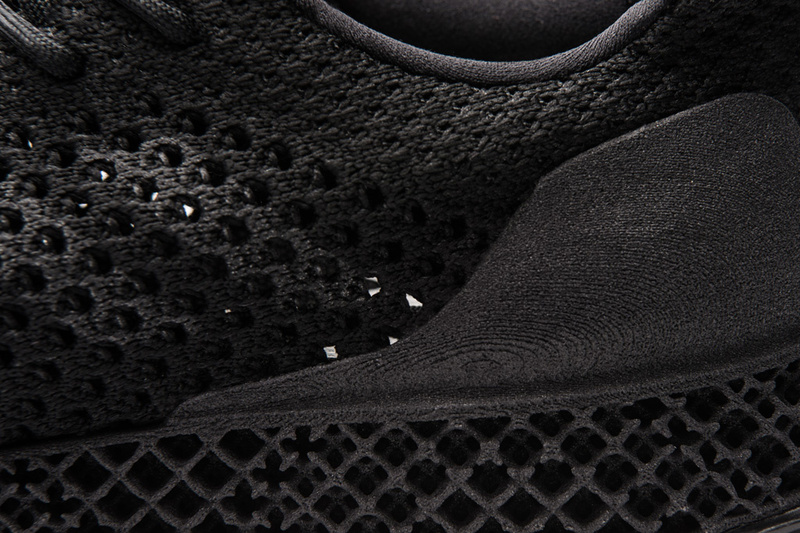 The 3D Runner’s are all-black sneakers engineered with a 3D structure for optimal performance and weight. More dense in high-stress areas and less dense in low- stress areas, the Runner’s 3D printed heel counter has been integrated into the mid-sole, which means that the typical process of gluing or stitching has been avoided. Aesthetically pleasing, the Runner’s black Primeknit upper makes sure that the wearer enjoys high style, superior fit and great performance. Other notable benefits include greater elasticity, compliance and support. Only available this week, the limited edition 3D Runner sneakers are priced at $333.00. If you are going to try your luck and you live in NYC you can try reserving a pair tomorrow via the Adidas Confirmed app, available for iOS and Android. Once reserved you can pick up your pair at Adidas’ brand new flagship store on 5th Avenue. For those residing in London or Tokyo then Thursday, December 15th will be your D-day. Should you actually manage to grab a pair of these stylish investment sneakers, then our #WearableTechStylist has put together an affordable, cool look, featuring misguided, AX Paris and Supernova Accessories. The edit will definitely help you rock your new 3D printed sneakers in style. If you do not manage to grab a pair, please do not fret. We are confident that Adidas’ commitment to redefining the sports industry means that we can look forward to them releasing a new series of products. Our assurance comes with a sneak peek of their next sneaker innovation, which sees Adidas partnering up with AMSilk, to create 100% biodegradable sneakers made using silk biopolymers.